Since the dawn of time Jews and lately Zionists, have been blamed for every conspiracy theory in the world .From controlling the media, to 9/11 and yes, to training special spy sharks for the Mossad, there is barely a single canard we have not been blamed for. Books have been devoted to this phenomenon. The Protocols of the Elders of Zion is one of the most venomous tomes ever written and Hitler based his indictment against the Jews, Mein Kampf on Jewish control and conspiracy theories. We all know how that ended. 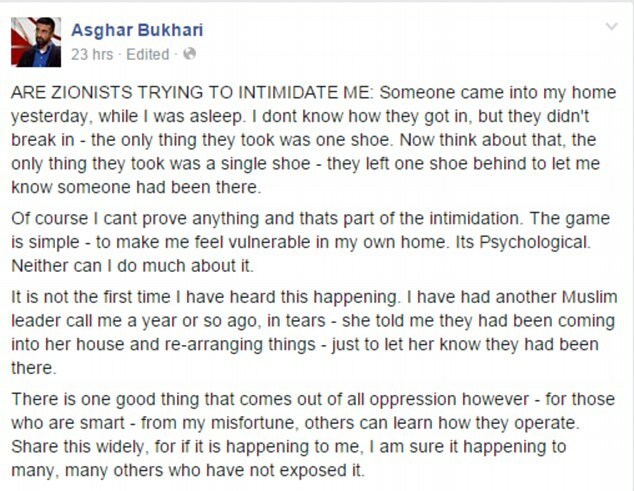 Asghar Bukhari, founding member of UK Muslim Public Affairs Committee, went on a Facebook rant this past weekend alleging that the Mossad was responsible for stealing one his shoes (and his slippers) that he carefully placed in a special spot. He opened his rant (sadly, I don’t have the monopoly on ranting) with “ARE ZIONISTS TRYING TO INTIMIDATE ME”? He feels vulnerable and intimidated and remarked how a fellow Muslim leader tearfully stated that “they had been coming into her house and re-arranging things just to let her know they had been there”. Now while I am not privy to Mossad training specifics, I am sure that cat burglary and interior decorating are not among their special areas of expertise. As a Zionist who considers myself to have discerning taste in shoes (personally I would steal a fabulous pair of designer stilettos), I am offended at the accusation that hearkens back to a time when we were accused of being thieving Jews and degenerates of society. This nasty invective is taught in schools in the Palestinians today and is having dire consequences on any kind of hope for peace. We can laugh and come up with crazy memes to share on social media but underneath the jokes lies a symptom of a serious illness that cannot be eradicated and instead is spreading around the world like wild fire. Antisemitism. Antisemitism is at the highest levels we have seen since before World War 2 and one of the favourite areas of attacks are Israel’s security institutions including the Mossad and the IDF. The Mossad are quite used to ridiculous allegations – not restricted to catching terrorists, this organization also steals rain and trains birds to spy. You cannot make this stuff up! Bukhari considers himself an expert in Mossad shoe fetish – he read all about in a book including how they allegedly target blind people. In his diatribe below, he warns fellow Muslims about the scourge of missing shoes and then proceeds to personally attack a variety of pro-Israel supporters, calling them “Uncle Toms”. But his true colours eventually reveal themselves when he defends his accusation bysaying “Zionists stole countries” “they steal the organs of children”. Even seasoned Muslim leaders come under attack because they apparently, are useless. 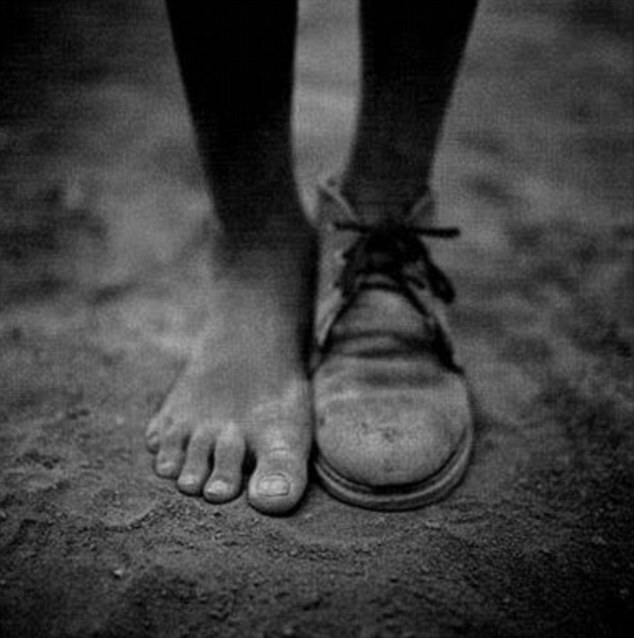 There you have it ladies and gentlemen, underneath the excuse of the missing shoe is the world’s oldest hatred wrapped up in jihadist marketing to radicalize a younger generation. 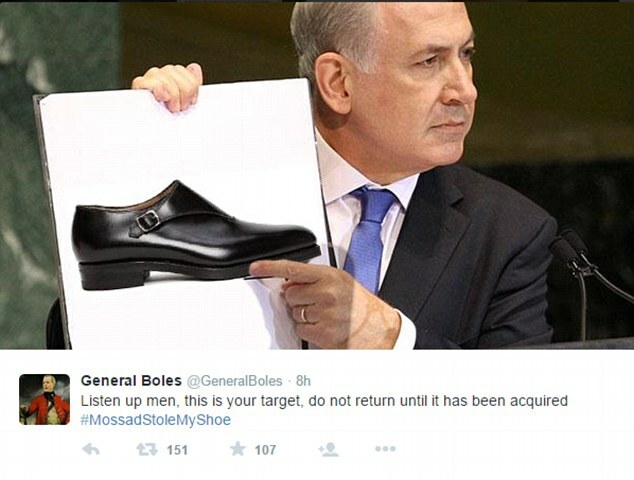 So Mr Bukhari, while it was the Mossad who stole your shoe (#Mossadstolemyshoe) I have to confess – it was this Zionist bloggest who stole your slippers! United Nations Secretary General, Ban Ki Moon is “leaning” towards leaving Israel off the list. So let us get this straight – a legitimate army, defending the rights of a sovereign state to protect itself against attacks from some of those non-state actors (read terror organisations) that feature on this illustrious list are classed amongst them? You cannot make this stuff up! The United Nations is absolutely besotted with Israel. Anti-Israel resolutions and finger pointing are the order of the day and one can say that their despicable witchUNt against the Jewish State constitutes institutionalized anti-Semitism. Army service is compulsory for Israeli citizens from the age of 18. Will all who serve in active or reserve duty be classed as terrorists? Have you ever heard such nonsense in your life!!!! Purity of Arms – The IDF servicemen and women will use their weapons and force only for the purpose of their mission, only to the necessary extent and will maintain their humanity even during combat. IDF soldiers will not use their weapons and force to harm human beings who are not combatants or prisoners of war, and will do all in their power to avoid causing harm to their lives, bodies, dignity and property. Our brave soldiers, unlike the enemy they face, do not hide behind their civilian population, using innocent men, women and children as human shields while firing their rockets and projectiles at Israel, placing both civilian populations in mortal danger. British colonel (ret) Richard Kemp, explains in detail below how the IDF do more than any army to minimize civilian casualties. All this while setting up field hospitals for the injured and sending in humanitarian aid to Gaza. Israel in combat – Col (ret) Richard Kemp speaks at the BESA Institute. The UN recently declared Israel as the “worst violator of health rights” in a 104-4 with six abstentions vote. It is almost laughable because while the defUNct UN passes ridiculous resolutions against Israel at the expense of the bewildered civilians in Syria who are caught in a civil war or Christians across the Middle East and Africa who are being slaughtered, those dastardly IDF medical personnel are treating and supplying humanitarian aid to beleaguered Syrians. Israel is one of the smallest countries in the world but still manages to punch well above her weight when it comes to helping the nations of the world. 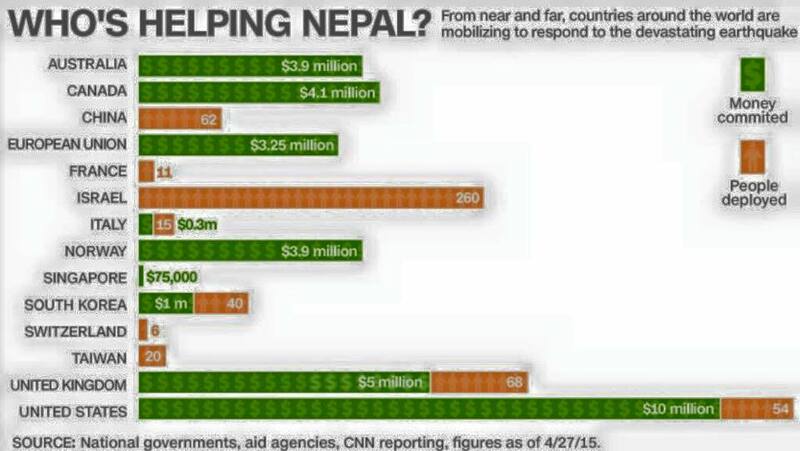 Within hours of the horrendous earthquake in Nepal, Israel had dispatched a team to assess what was needed and a field hospital, the largest (and only) of its kind along with 260 troops and dogs from the Oketz canine unit and their handlers were on their way to help with rescue and recovery. Sadly, Israel lost Or Asraf z”l, who was backpacking in Langtang, Nepal as part of his post-service trip. Asraf had served in Operation Protective Edge and was injured and his brothers from his unit along with his father, flew to Nepal to bring him home. This is the spirit of brotherhood. In the last two weeks, Israel has sustained three rocket attacks against our citizens in the south. Last week the whole country participated in a nationwide drill and even though our army prepares us and we know what to expect, the sound of sirens is both traumatic and a stark reminder of the hostility of our neighbours. Let us examine the numbers – three times Israel has sustained rocket attacks in the last two weeks, approximately 300 000 citizens scrambled to shelters. The amount of comments from the UN and other international leaders condemning these attacks has amounted to……zero. As an Israeli citizens, I could not be more grateful for the IDF for not only keeping us safe but for ensuring that we know exactly what to do in times of attack. As you can see in the above mentioned examples, the IDF are great candidates for being placed on a terror list (yes, I am dripping with sarcasm). The United Nations should hang its head in absolute shame at its treatment of the state of Israel. Israel has never professed to be perfect but this is a new low and level of hypocrisy. The United Nations was established as the modern day guardians of human rights and they have failed dismally at their mission. Dictators and autocrats hold key decision making portfolios and blocs have been established to bully and ostracize countries like Israel. The UN is in need of a serious overhaul. Or an exorcism to be rid of the evil that is given free reign. This is an organization that has just chosen Saudi Arabia to host the Human Rights Conference on Religious Freedom. It is quite clear that the lunatics have taken over the asylum. Roro and The Disgruntled Millenial discuss BDS, antisemitism and the recent Global Forum on Combating Antisemitism that was held in Jerusalem….and everything in between!